Mission Statement -- When I speak, I speak from the heart. Being totally transparent and showing ones own flaws and weaknesses helps for a stronger connection to an audience. Our hope is your audience will discover a new-found belief in themselves. Bob Logan has led an incredibly varied life, rooted in strict military family values. Attending 7 schools in the first 12 years of his life as the son of an Air Force fighter pilot, Logan learned early on that change can actually be a good (and sometimes exciting) thing. Originally, he was to follow in his father’s footsteps by attending the U.S. Air Force Academy. However, life got in the way and he took a different path to complete his undergraduate work at Northern Arizona University and his MBA at the University of Arizona. The early formation for his career came as a football coach and teacher, working for some of the best in the business at the time. He coached in three consecutive bowl games at the University of Arizona and went on to become the head coach of the Bologna Doves in the Italian-American Football League. There, he was one victory from winning the Italian National Championship! 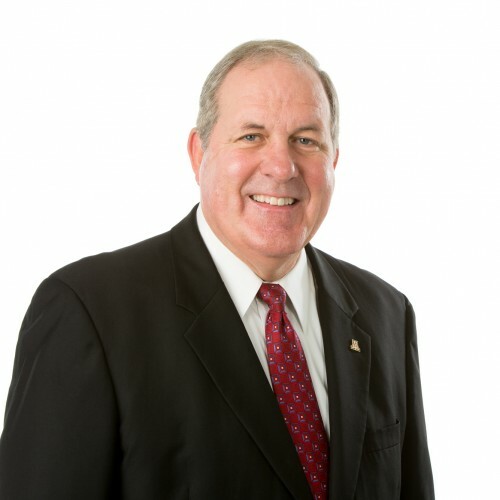 Following his MBA, he spent time in the corporate world as a sales manager for AT&T Computer Systems, when local area networks and connected computing was taking over the business environment. He was one of the most successful AT&T sales managers before NCR corporation merged with AT&T. For the next 28 years, Logan worked in a senior level capacity at the University of Arizona. The first ten years was as an Associate Director of Athletics, in charge of the Wildcat Club and the major fund-raising for the top-ten ranked Wildcats. The latter part of his career has been as an Assistant Dean for Corporate and External Relations in the UA College of Science. He has been responsible for some of the largest gifts in the history of the University of Arizona. This includes the $100 million gift of the iconic Biosphere 2 and a twenty-year operating budget. He also facilitated a $20 million naming gift for the Richard F. Caris Mirror Lab, where the largest telescope mirrors in the world are built. Now a prominent speaker and published author, Logan is taking his story of "Let Your Path Find You" to corporate clients like BBVA Compass Bank and the Wisconsin State Journal, as well as to non-profits like the Humane Society and the UA Arthritis Center. His message is an uplifting one that helps you walk away with a new found energy for life. Bottom line, from coaching athletes to teaching students, from selling high-end computers to sending missions to Mars, Bob Logan understands people and he understands success. Find out more about Bob Logan at http://www.boblogan.net/coach.